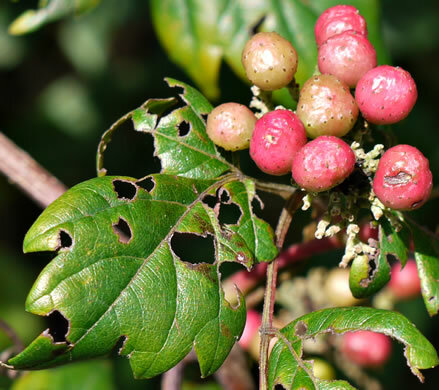 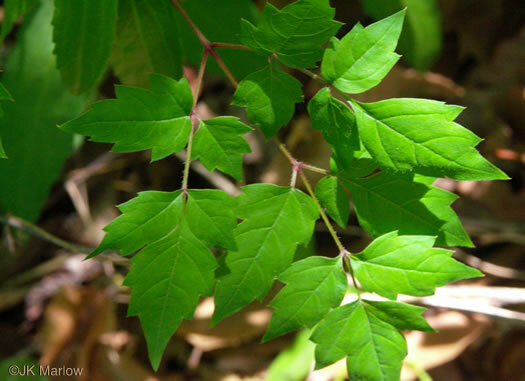 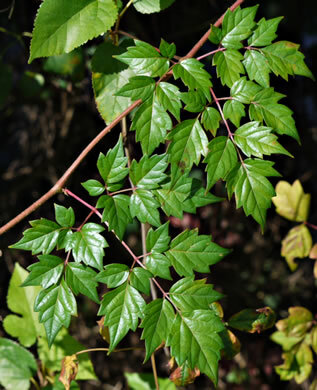 Read a taxonomic advisory about Peppervine from Alan Weakley and the Southern Appalachian Botanical Society. 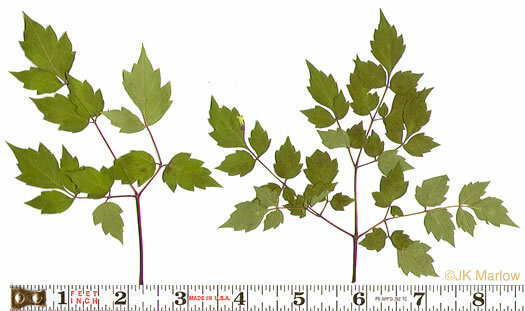 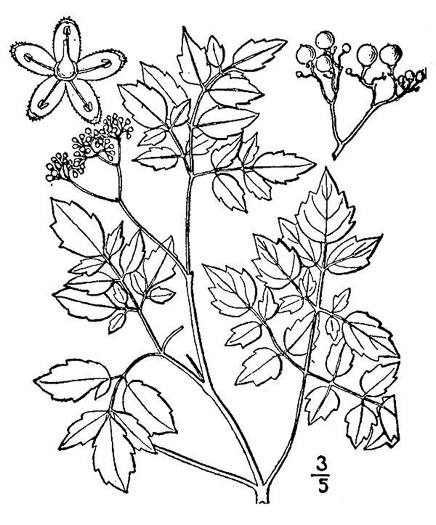 Plant glabrous or glabrate, per Vascular Flora of the Carolinas. 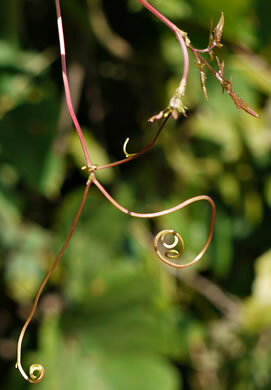 Branched tendrils opposite some leaves, per Forest Plants of the Southeast and Their Wildlife Uses. 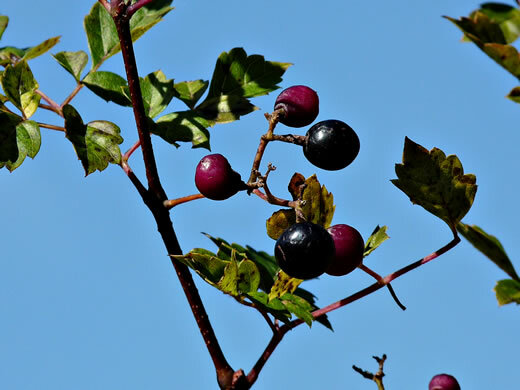 Berries shiny red to black, dry, w 2-5 black seeds resembling peppercorns, per Forest Plants of the Southeast and Their Wildlife Uses.